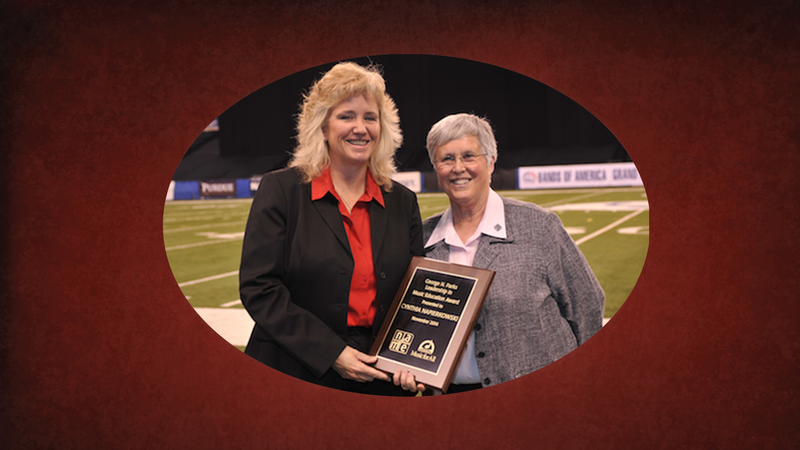 The National Association for Music Education (NAfME) announced that Cynthia Napierkowski ’87, Director of Bands at Salem High School in Salem, Massachusetts is the recipient of the 2014 George N. Parks Award for Leadership in Music Education. 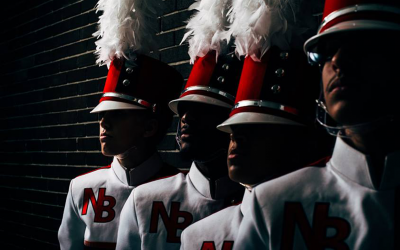 She will receive the award at the Bands of America Grand National Championships in Indianapolis on Saturday, November 15, 2014. 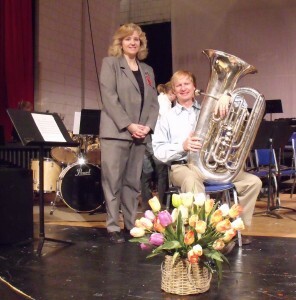 Cyndi Napierkowski with George Parks at a 2010 concert at Salem High School.